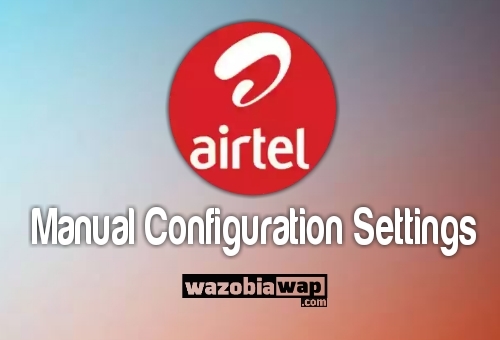 If you are looking for how to configure you smartphone with Airtel manual internet configuration settings or Airtel apn settings. This article contains Airtel manual and automatic internet configuration settings. If your smartphone was unable to browse the Internet with your airtel sim. This might be because your smartphone is not configured with Airtel apn settings which can be done automatically or manually. If you want to configure your smartphone with Airtel Automatic configuration settings, kindly send the word INTERNET to 232. You will receive the configuration message as soon as possible. If you did not get the airtel automatic configuration settings message, you can manually configure your smartphone with the below settings. That's all you need to know on how to get airtel configuration settings for android, airtel configuration settings for modem,airtel configuration settings for Java phone and lots more.